But we are given it only after we, the whole of the people of Israel, proclaim “with one voice” (#Exodus 24:3) that we will do as the law dictates. 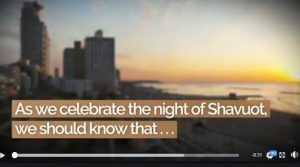 #Shavuot has a special message to all of us. Like all #Jewish holidays, it represents a state in our spiritual development. 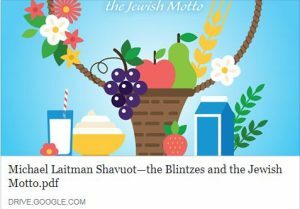 The state of Shavuot marks the point where we are given the #Torah—the law of life.